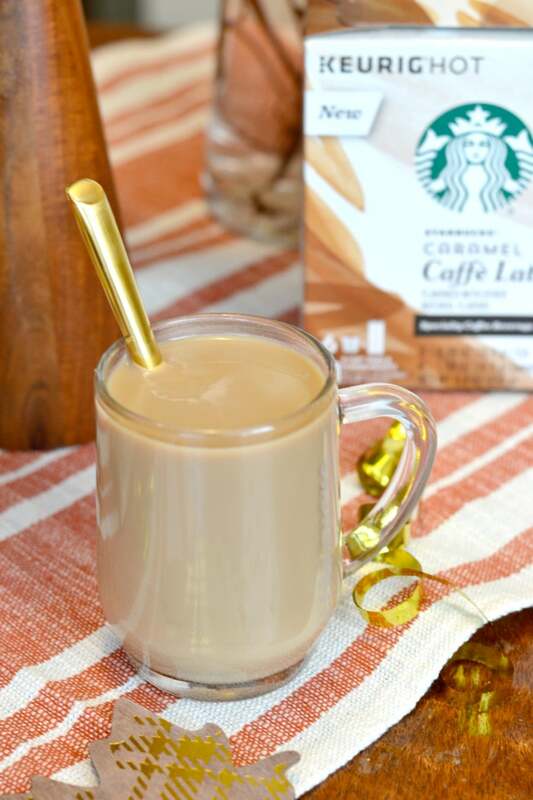 Enjoy your favorite Starbucks lattes at home thanks to the new Starbucks® Caffè Latte K-Cup® Pods. I’ve shown a lot of love for my slow cooker on this blog, but I’ve yet to mention the other kitchen gadget that has stolen my heart: My Keurig® brewer. When my mother-in-law bought us one for Christmas almost nine years ago, I thought it was really cool, but I wasn’t sure if we’d use it every day. Fast forward to today, and I would give up my kitchen table or possibly even a limb before I’d give up my Keurig®. I didn’t think my love for my Keurig® could get any deeper than it already was, but it has with the invention of these new Starbucks® Caffè Latte K-Cup® Pods. 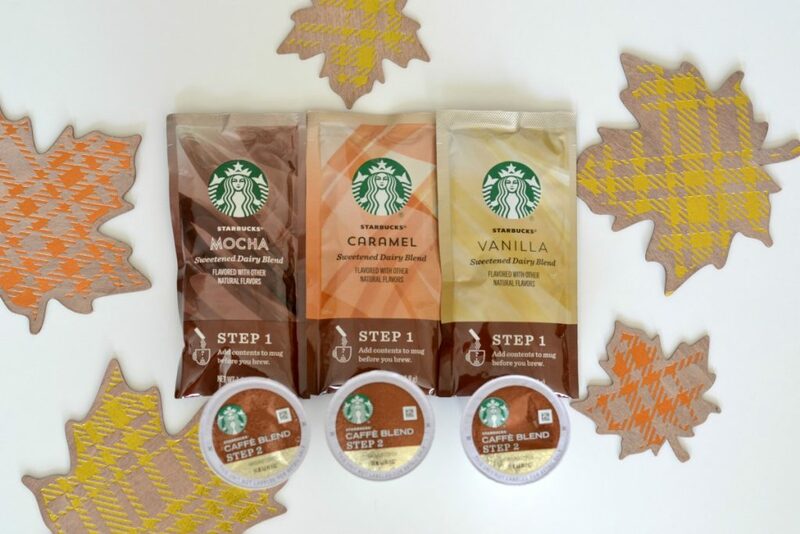 The Starbucks® Caffè Latte K-Cup® Pods are made from milk, with no artificial flavors, and they come in three signature flavors: Caramel, Mocha, and Vanilla, plus two beloved Starbucks® seasonal flavors: Pumpkin Spice and Peppermint Mocha (available for a limited time). I’m often skeptical of the “at home” versions of my favorite foods and drinks, but these pods are the real deal. I no longer have to brush my hair and put on pants to get my latte fix at home! 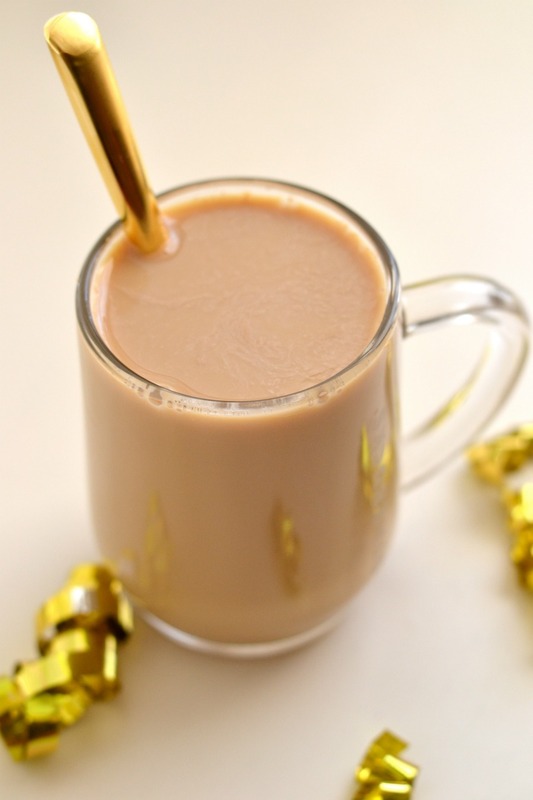 STEP 1: Pour the flavor packet into the mug and place it onto the drip tray of your Keurig® brewer. STEP 2: Using the 8-oz. 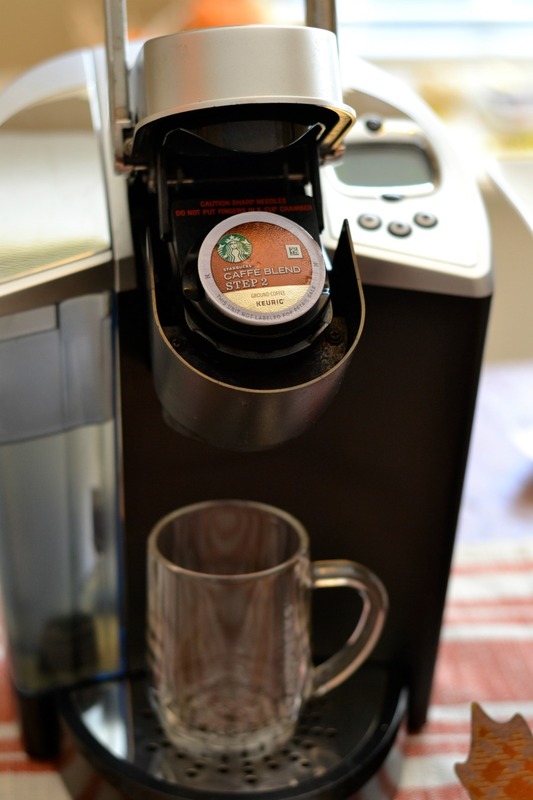 setting, brew the K-Cup® pod into the mug and stir. 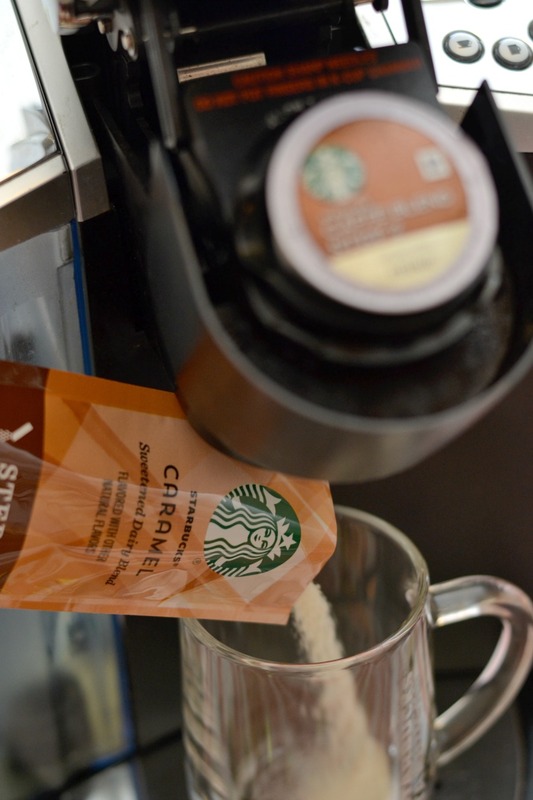 The Starbucks® Caffè Latte K-Cup® pods are available nationally at your local grocery store. If you visit the Starbucks® Coffee at Home website, you can print a coupon for $1.50 off, and use the product locator to see where your favorite flavor is sold. Not only are the pods awesome to keep on hand for myself, but I like having something special to offer to guests, whether it’s a neighbor popping by or an official coffee date. 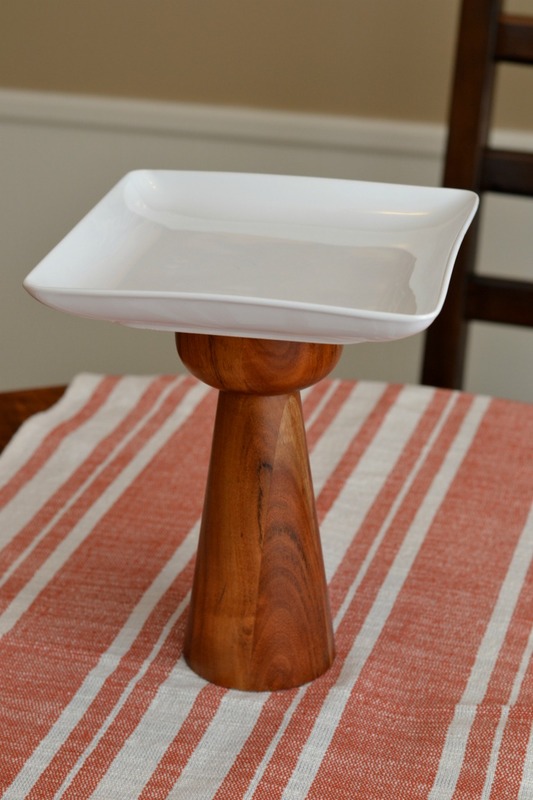 On the topic of entertaining, here is a quick tutorial for making easy cake-stand style tiered plates when you’re hosting a meal or a get-together at your home. 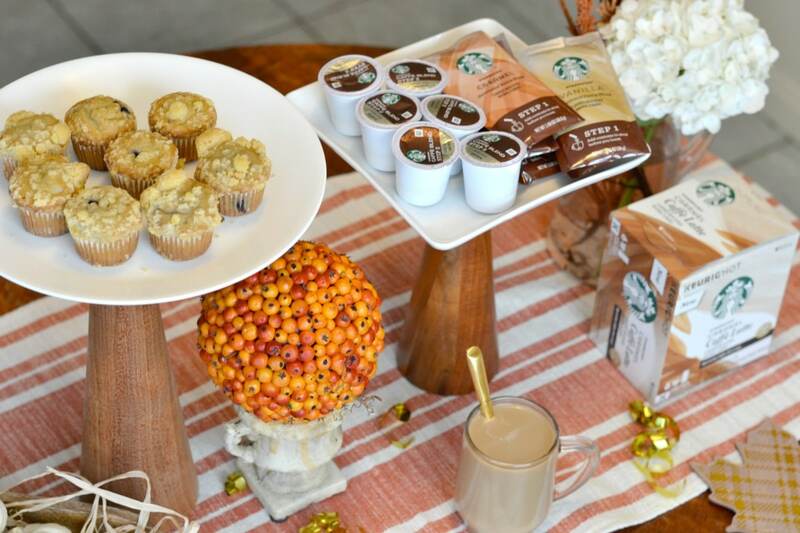 A food and beverage table looks so much prettier and more interesting when you’ve got items placed at various levels. However, I don’t have the room to store tons of serveware in my home, and I also don’t like spending lots of money on kitchen items that I only use once in a while. So I came up with an easy and FREE way to create tiered plates using things I already have in my house. 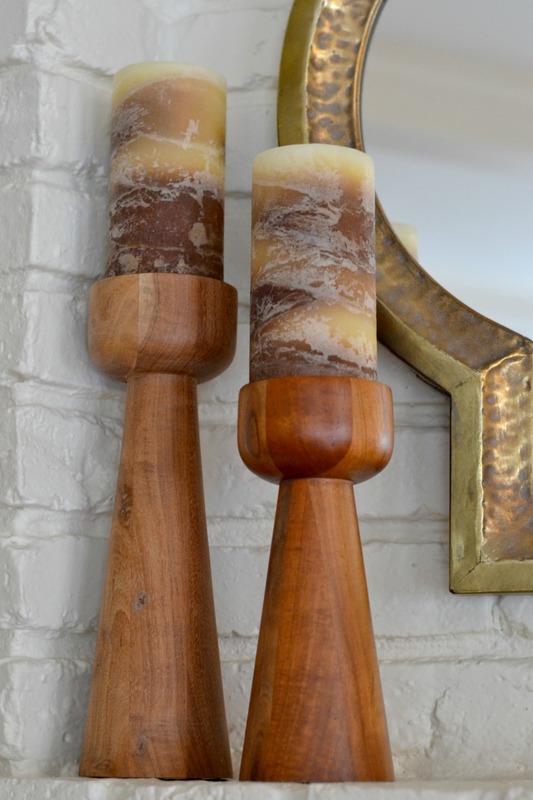 I took these two candlesticks that I typically use in my living room, and applied a little bit of double-sided adhesive tape to the top of each one. Then, I centered a plain white plate on top of each candle stick and pressed down lightly. Voila! I’ve got myself tiered plates! 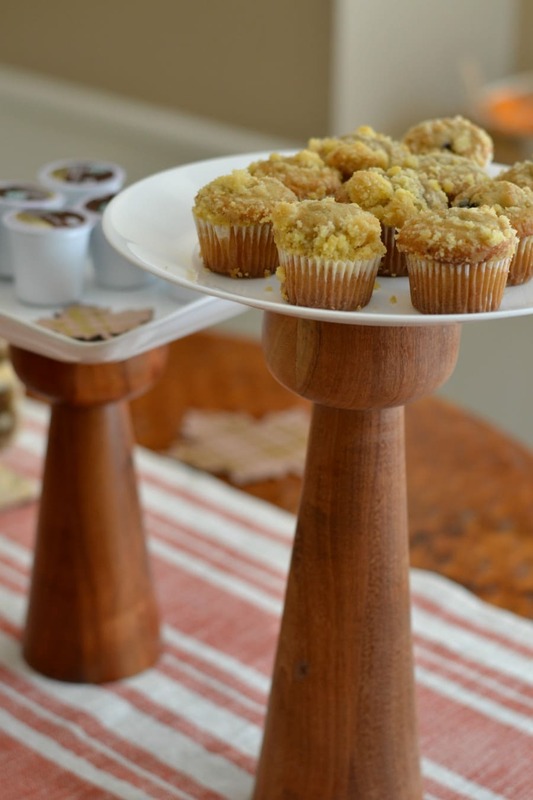 You don’t have to use candlesticks — you can elevate your plate with any sort of decorative item that’s tall and relatively sturdy. You could even use a narrow vase filled with candy or some sort of pretty filler! 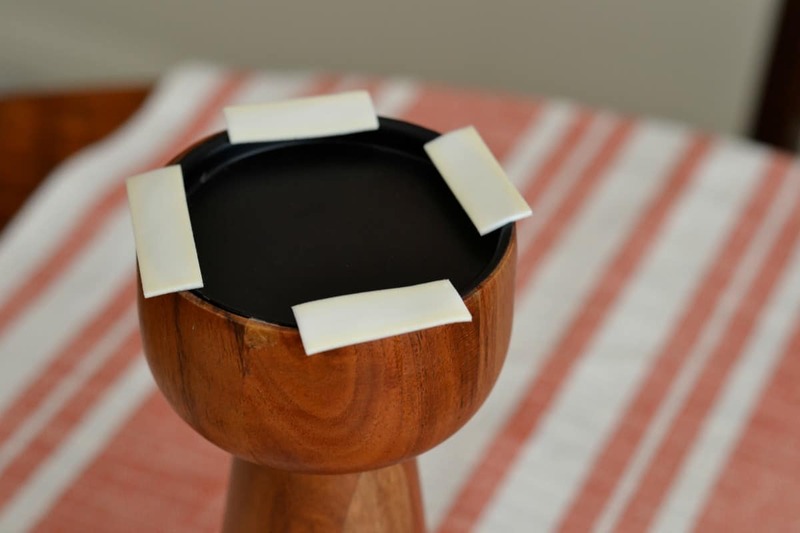 And if you don’t already have something in your home that works, you can find very inexpensive candle holders and plates at a thrift store or a dollar store. Mix and match plate colors and styles to create a fun and pretty table without spending a dime. 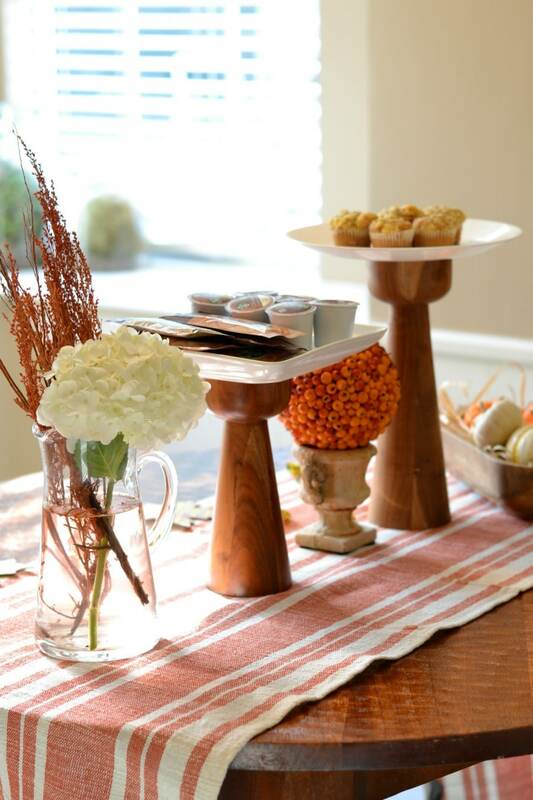 I love finding ways to make entertaining special without spending lots of time or money. I want to hear your favorite tips for easy entertaining, too. Please leave them in the comments! Thanks, Amber! I love that it’s not permanent, too — one less thing to buy and store! I can’t wait to try the lattes. Great post and all your ideas are so good.